Boeing’s answer to Airbus’ flying taxi concept is here. 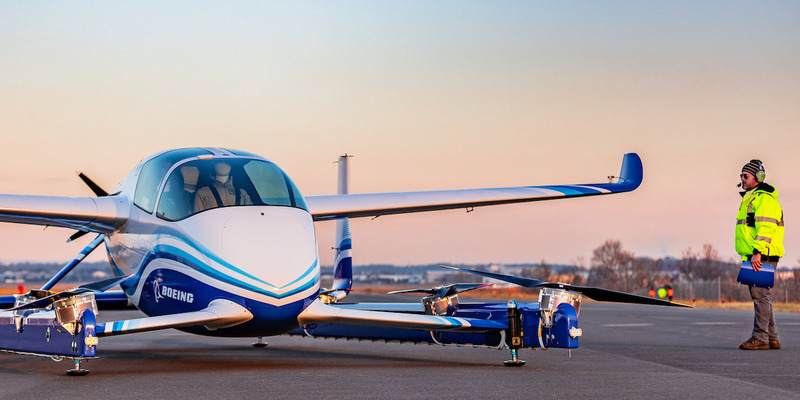 The aircraft maker announced Wednesday that its first “autonomous passenger air vehicle” had successfully completed a test flight in Manassas, Virginia. Using electric propulsion, the 30-foot prototype can make vertical take-off and landings, and has a range of 50 miles. In the test flight on Wednesday, the vehicle completed a controlled takeoff, hover, and landing. On future test flights, engineers will work on the vehicle’s ability to shift from vertical flight to horizontal travel, one of the most challenging aspects of the project. French manufacturer Airbus, largely seen as Boeing’s closest rival in the aerospace industry, has also been working in overdrive to make flying taxis a reality. Its Silicon Valley arm, known as A^3, plans to have a production version of its 8-rotor Project Vahana aircraft read by 2020, an executive told Business Insider back in 2016. You can watch a video of the test flight on Boeing’s website here.